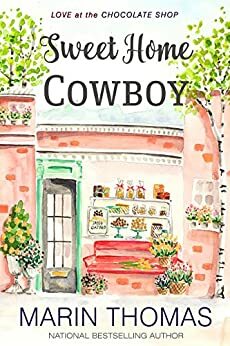 When Marietta newcomer Elena Puente is coerced into attending a speed dating event at the popular Copper Mountain Chocolate Shop, she's blindsided by a serious attraction to local cowboy, Wesley Banks. Still recovering from a broken engagement, the first-grade teacher from Las Vegas isn't looking for romance. She's in Montana to get to know the great-grandfather she never knew existed until she found some hidden family letters. Judge Kingsley is a grouchy recluse and he's far from welcoming, but Elena is determined to stay in town long enough to give his neglected estate on Bramble Lane a facelift. Elena's resolve to avoid romance is tested when she discovers Wesley is the caretaker of her grandfather's rural property. 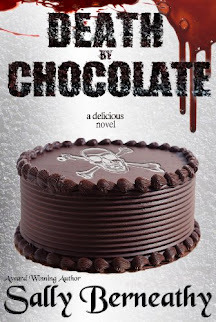 Soon, she and the cowboy are attending more speed dating events at the chocolate shop and she's seeking his advice on how to deal with his ornery boss. Local gossips wager the old Judge will run Elena out of town before anything serious develops between her and Wesley. But Wesley's a determined man, too, and he's betting Elena belongs in Marietta forever...with him.